The second sermon I ever gave was a cracker. People told me! It was logical, engaging and humorous. I succeeded in explaining, illustrating and applying the Bible in a way that captivated the listeners. My girlfriend (now wife) even started to believe that I might have some hope of becoming a preacher! But, it’s time for public confession. I basically pinched the whole talk, idea for idea, point for point, from John Chapman. I don’t think I was the first to do this, and I’m certain that I wasn’t the last. You see, I’d looked over the Bible passage again and again, and I couldn’t see any way to make it clearer than Chappo. So why not simply copy his talk? Chappo’s passionate desire for people to understand the truth, and his confidence in the Bible to reveal it, came through so clearly in his preaching. He still has this same passion and confidence, and it comes across in his recent book, Making the most of the Cross. How many people are still writing books after their 80th birthdays, and dedicating them to their friends in the retirement home? Well, at least one! And I thank him for it! This book takes us to the very core of the Christian message – the death and resurrection of Jesus Christ. Everything stands or falls on these events. Without them, there is no Christianity. If Jesus didn’t die, or if he died and remains dead, then there is no real hope for humanity, either in life or in death. This is no take it or leave it topic. It’s worth investigating seriously, whether we’re a child or an octogenarian. But don’t leave it until you’re 80 if you’re not already there! There are two main sections in Making the most of the Cross. The first explores the significance of the death of the Lord Jesus. The second considers the facts and meaning of the resurrection. You could tackle the book in two parts, but the real benefits will come from going even more slowly and considering the many different aspects and implications of these events. John Chapman grounds every chapter of his book in the text of the Bible. The Gospel accounts are the primary evidence for what happened to Jesus, and how Jesus understood what was happening. The rest of the New Testament supports this, giving additional insight into their meaning. Sometimes the Old Testament is quoted to assist us in understanding a particular background to Jesus’ death or resurrection. In fact, reading this book helps us to see more of how the whole Bible is focused on Jesus and only makes sense in the light of what he has done. 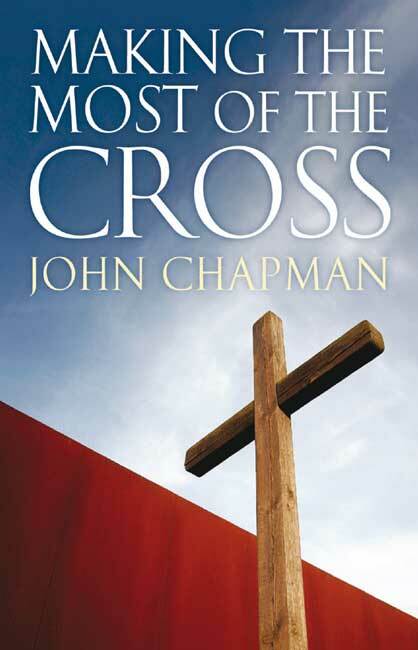 Given the brevity of this book, there is much more that could be said about the significance of the cross. But, this book provides a very good primer. If you are keen to take things deeper then let me recommend The Cross of Christ by John Stott, The Atonement by Leon Morris, and Where Wrath and Mercy Meet edited by David Peterson, among others. To claim that Jesus was raised from the dead and is alive today, 2000 years later, is nothing short of extraordinary. What is more, Christianity stands or falls on the truth of this claim. It’s not an optional accessory. It’s the heart and soul of it all! Chappo outlines briefly the evidence for the resurrection, including the empty tomb, the eyewitnesses, the amazing transformation of the disciples, and their lasting impact on others (even to this day). But he doesn’t stop here. He goes on to highlight the significance of Jesus being raised, how the resurrection vindicates Jesus in his death, reveals him to be God’s appointed eternal ruler, the judge of all people, the pioneer of life beyond the grave, the pattern of resurrection to come, and the very real hope for you and me that death is not the end.